Data loss can occur on any device. May it be a computer, a laptop, or a smartphone. Any gadget with a storage drive is vulnerable to data loss due to virus attacks, update failure, corrupt drive, etc. In my previous articles, I have reviewed a couple of Windows data recovery tools. 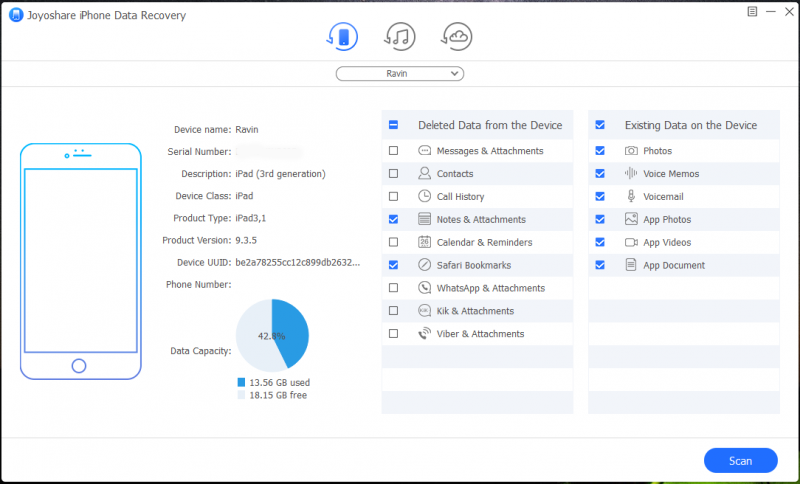 Today, we will be looking at the Joyoshare iPhone Data Recovery software. As the name suggests, this software allows Apple users to recover their lost or deleted files. The software works on all iOS devices such as iPhone, iPad and iPod touch. The software can be installed on Windows and MacOS as well. 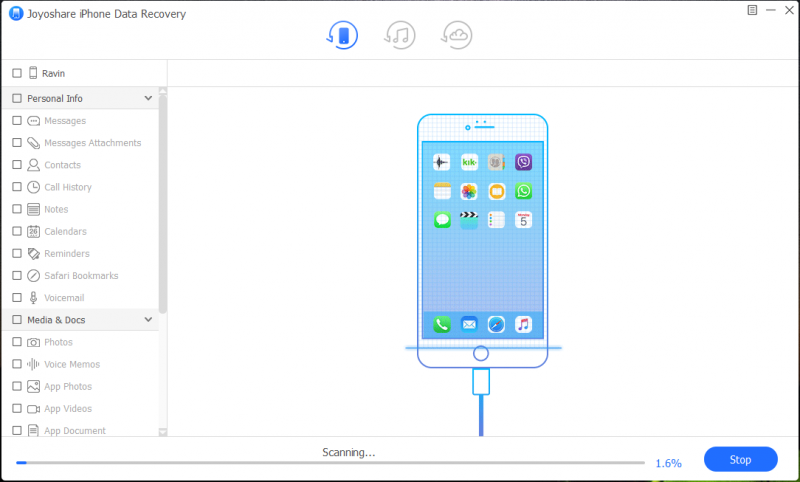 Joyoshare iPhone Data Recovery Windows is the perfect data recovery tool for iOS devices. It can recover more than 20 different types of file formats. Before we take a look at the software, let’s check out the system requirements and the supported device list first. 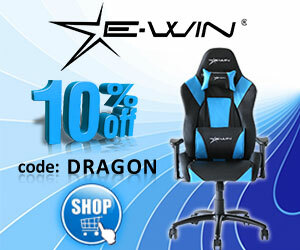 The first thing that you will need to do is to purchase and download the software. Before purchasing the software, you can also try out the trial version and scan your device. 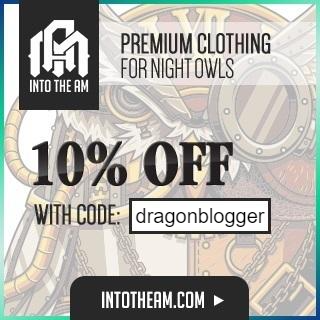 The scanning process is absolutely free and you can purchase the license once you have found the deleted files. Once the software is installed, launch the application. 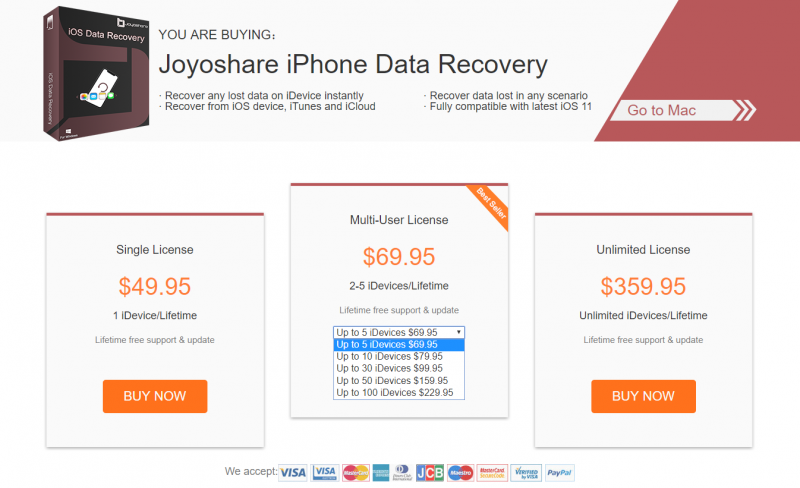 The Joyoshare iPhone Data Recovery software has three different types of data recovery methods. 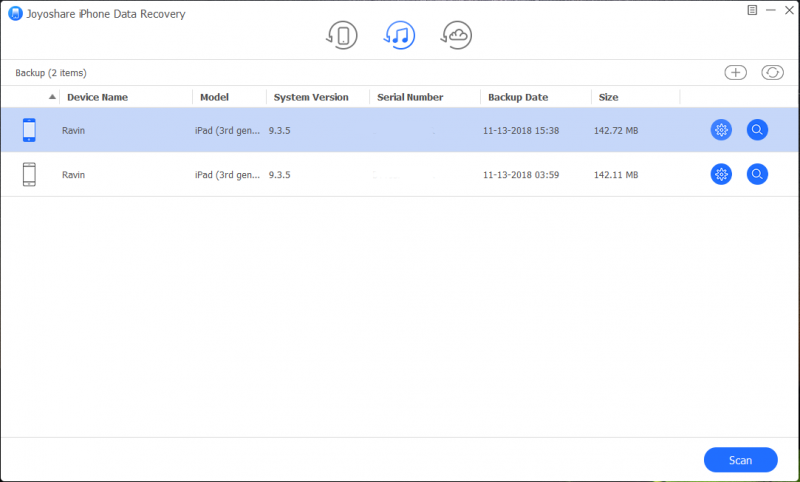 You can recover files directly from your iDevice, or you can recover the files from your iTunes backup, and the third option lets you recover files from your iCloud backup. Let’s check out each recovery method in detail. 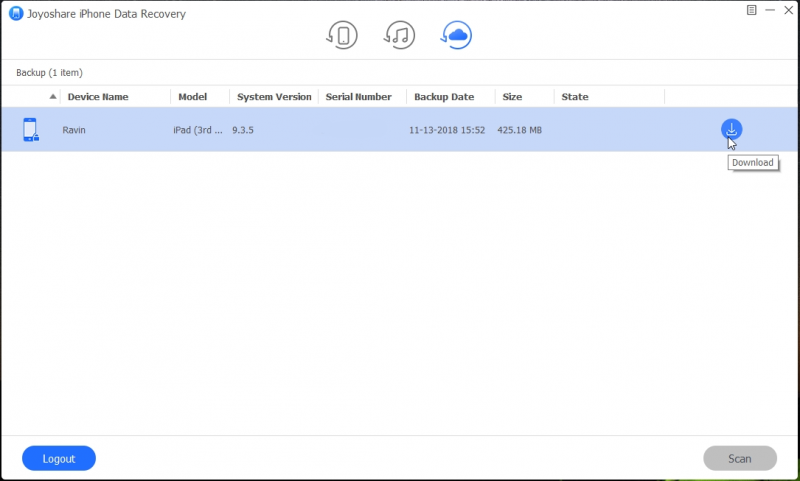 To recover files directly from your iDevice, connect your iOS device to your computer. Once the device is connected, you can view your device information on the left. On the right, you get to choose which type of data you want the software to scan and recover. 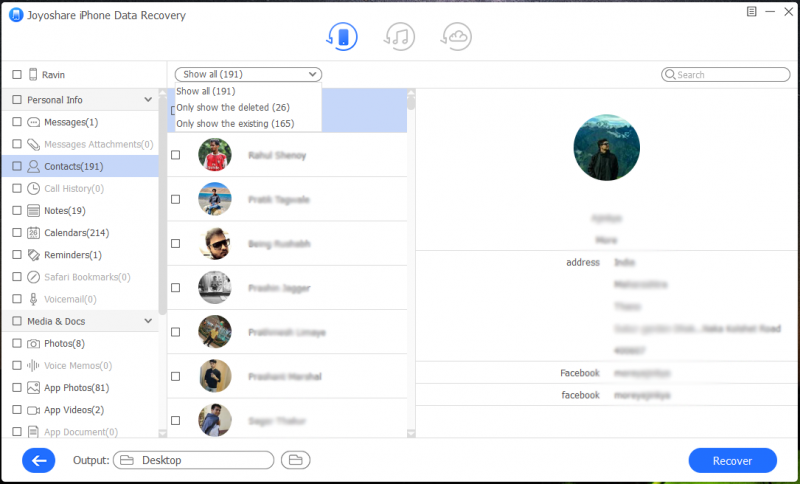 This software lets you recover deleted messages & attachments, contacts, call history, notes, calendars, reminders, Safari bookmarks, and even WhatsApp, Kik, and Viber messages and attachments. Select the file types that you wish to recover and click on Scan. The scanning process might be fast or may take some time depending on the amount of data in your device. Once the scan is finished, you can view all the files that are currently stored in your device. All files are organized properly. On the left, you can view the files in a systematic order. Since the software shows all of the files available in your device, you can filter them to see only the deleted or just the existing files by clicking on the “Show all” drop-down menu. To recover the files, select the files by clicking on the square checkbox, then select the Output file location, and then click on Recover. The second way to recover your data is to recover it from an iTunes backup. 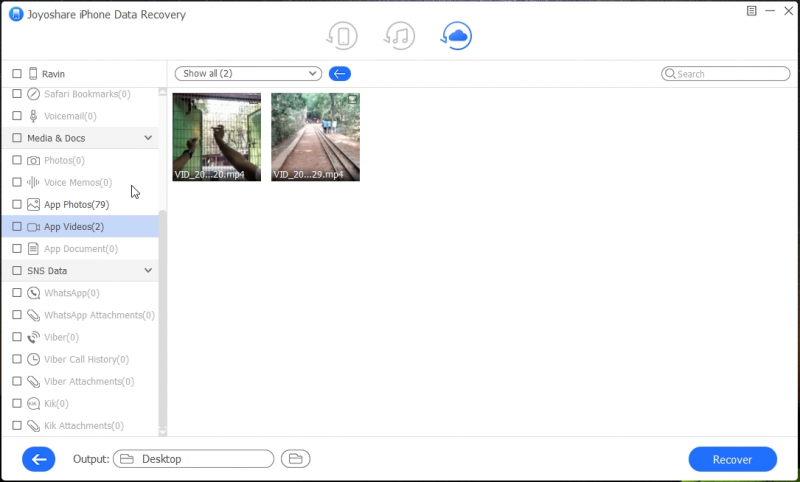 If you have previously made a backup of your files in your computer through iTunes, Joyoshare will automatically scan for any available backups and list them for you. Click on the “Gear” button to select the file types that you want the software to search and click on Scan. The search and recovery process is the same as shown above for the first recovery type. 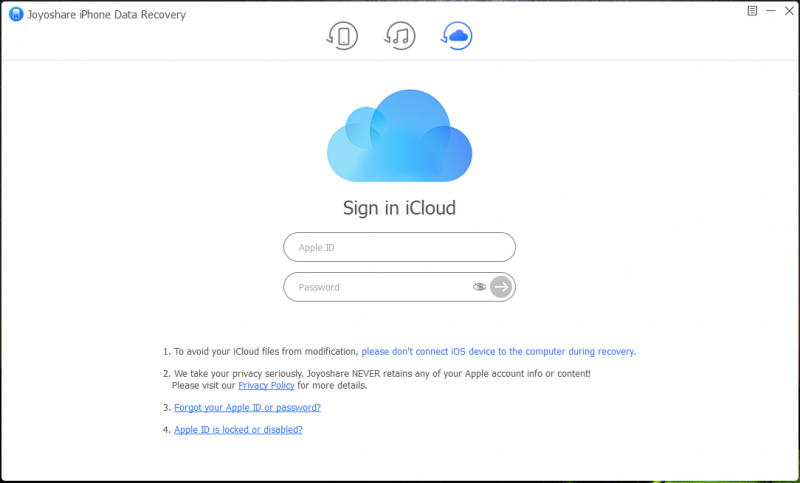 The third and final recovery method is the iCloud backup recovery. Just like iTunes backup, if you have a backup of your data stored on iCloud, you can use it to recover your lost data. This will require to sign in to your iCloud account. Once you have signed in, you can view a list of all the backed up devices on your iCloud account. Before you can view the files, you will have to download the backed up files to your computer by clicking on the download button. Once the download is finished, click on the gear button, filter the search results and then click on Scan and recover your files. 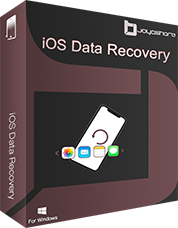 Joyoshare iPhone Data Recovery is a great iOS Data Recovery tool which lets you recover deleted data from your iOS device. With 3 different recovery methods and over 20 different types of file support, you can recover your important data easily. 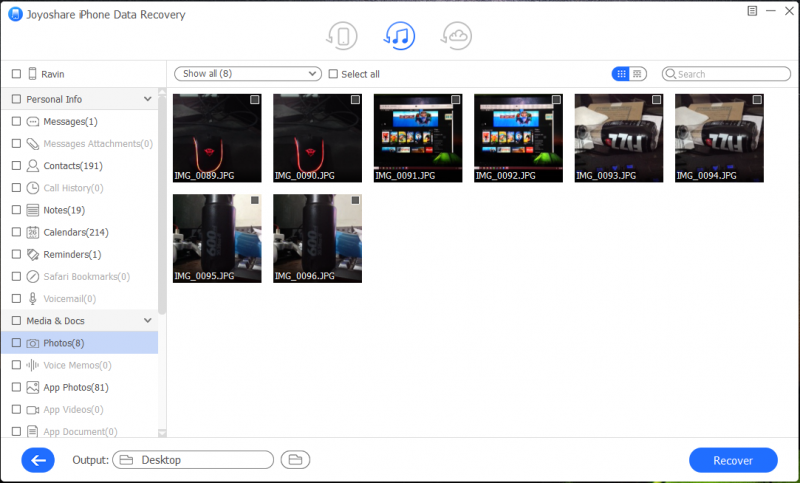 Joyoshare provides a free trial version so you can test out the software to see if the software is able to scan the deleted files or not. If you are satisfied with the search results, then you can purchase the software. A single iDevice lifetime license will cost you $49.95, and if you want a multi-user license, the price will vary. 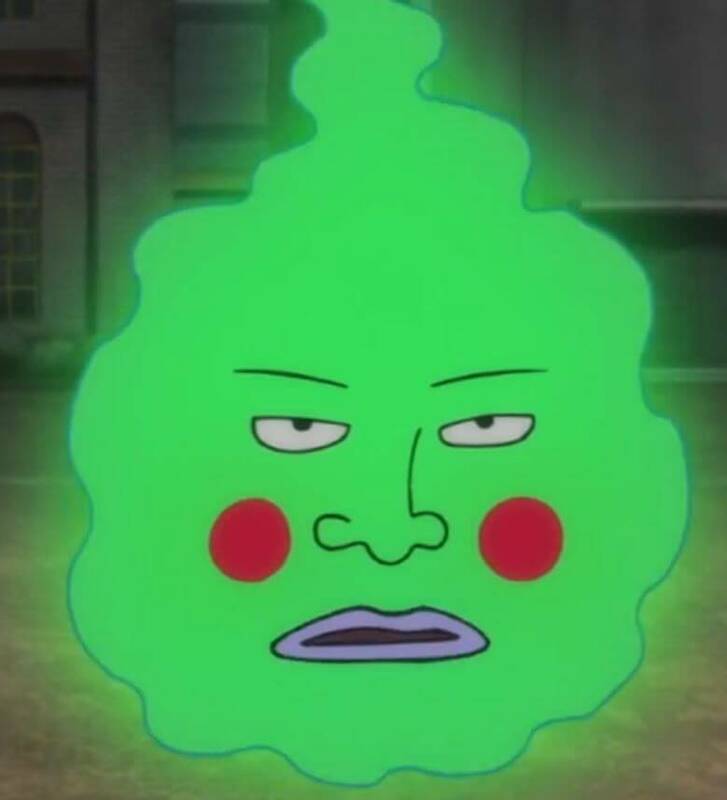 Overall, this is a good software and I can surely recommend you to try it out.